Day 2 started in a much more relaxed fashion as everything was already set up. We just needed to make sure that technology was on our side for the day’s sessions! 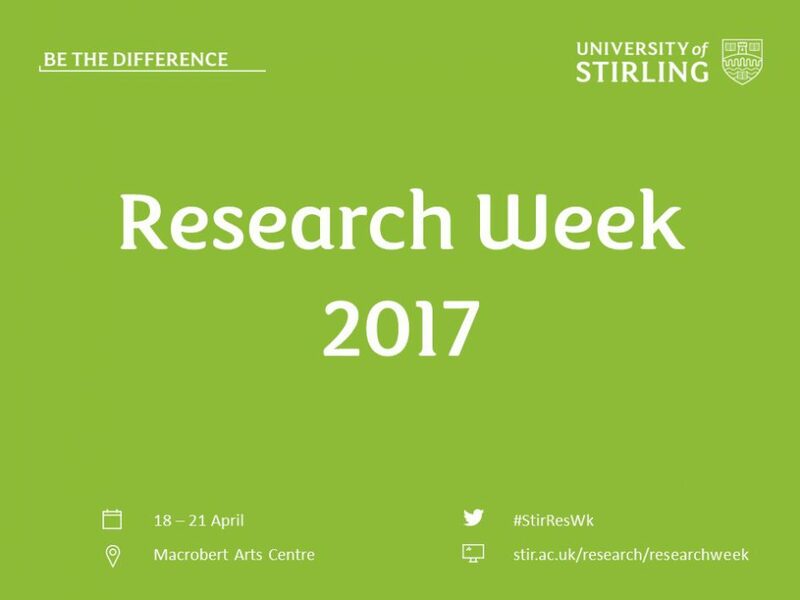 If you missed out during Research Week the reading room, well worth a visit, is open from 9.30-13.00 and 14.00-16:45 Mon-Fri – to view specific materials please complete a request form. The Global Food Security (GFS) session built on a workshop held the previous week in which research ideas were discussed by the GFS team with the aim of pulling out two or three themes to develop further into research proposals. 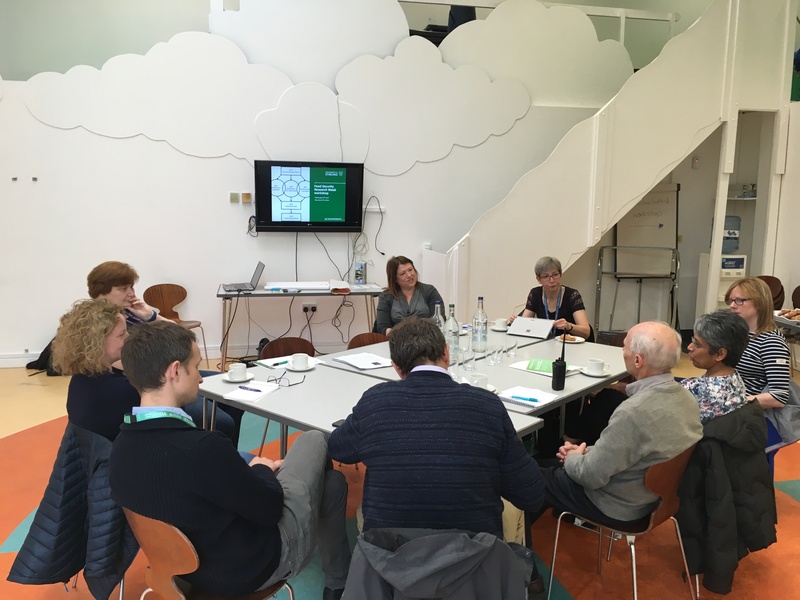 In addition to the GFS team we had colleagues from Computing Science & Maths and Stirling Management School joining in which opened up a wide ranging discussion about attitudes towards food and how change in behaviour can be initiated and then maintained. Discussions encompassed the use of interactive games to engage children, the role of parents in food choices and behaviour, how / can education in schools help, the impact of increased consumption on the supply chain (beneficial and detrimental), how to promote seafood as ‘fast’ nutritious food. The session ended with colleagues agreeing to meet up in smaller groups to have focused discussions around some of these ideas. “Mobile cognition” moves psychology out of the lab and into the world, shifting the focus of research towards understanding and investigating behaviour in a way that addresses pressing real-world societal challenges. The research programme team (David Donaldson, Psychology; Angus Hunter, Sport; Magdalena Ietswaart, Psychology; Paul Dudchenko, Psychology; Rachel Crockett, Psychology) demonstrated their ‘mobile cognition’ equipment (brain imaging technology), to the audience. The team’s ambition is to use cognitive psychology to answer current global issues around the prevention, diagnosis, and therapy of dementia and brain damage, aging, rehabilitation, autism and abnormal development. One topic discussed was falls prevention in older adults. Such falls currently costs the NHS £4.6M per day and the opportunity to understand how older adults move within real world environments and the impact of these environments on the cognitive and neurological processes associated with gait and balance will be invaluable in developing falls prevention interventions. The team is keen to work with researchers across all disciplines to explore the potential of mobile cognition and welcomes project suggestions. Attendees heard from Dr Conor Snowden & Dr Jennie Dodson on the changing UK & International Funding Landscapes and the associated challenges. Researchers heard up to date information that supported their research funding activities and provided the chance to discuss and ask questions. There have been major changes in the UK and global landscape for research for development over the past two years. Within the UK, the Global Challenges Research Fund, the Ross Fund and the DFID Research Review all herald new research opportunities. Agreements on climate change, the Global Goals, and Disaster Risk Reduction provide wider drivers for research and innovation in the global landscape. 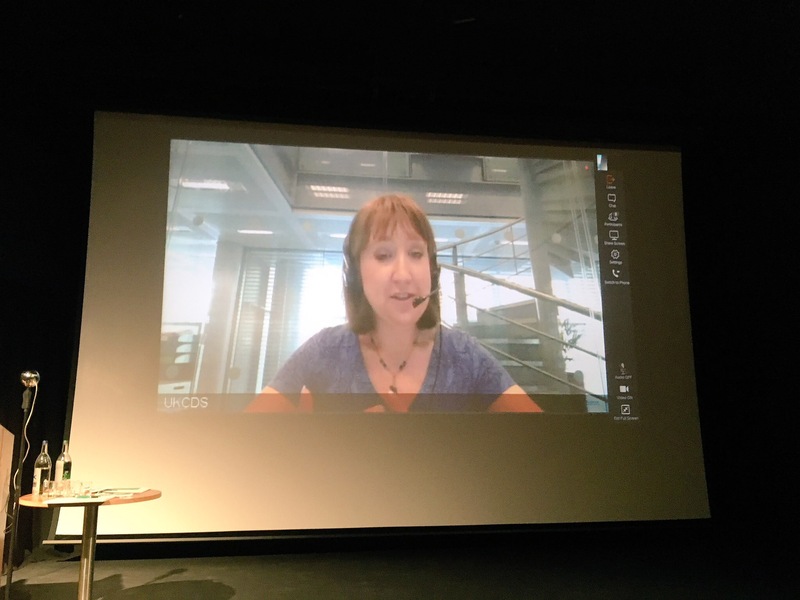 Jennie’s presentation described recent UKCDS (UK Collaborative on Development Sciences) work and their role working across the UK funders to highlight key trends in international development, changes in the funding landscape and key considerations for development research projects. The second half was delivered, in person, by Dr Conor Snowden, Science Adviser (International Development and Research Partnerships at the British Council). 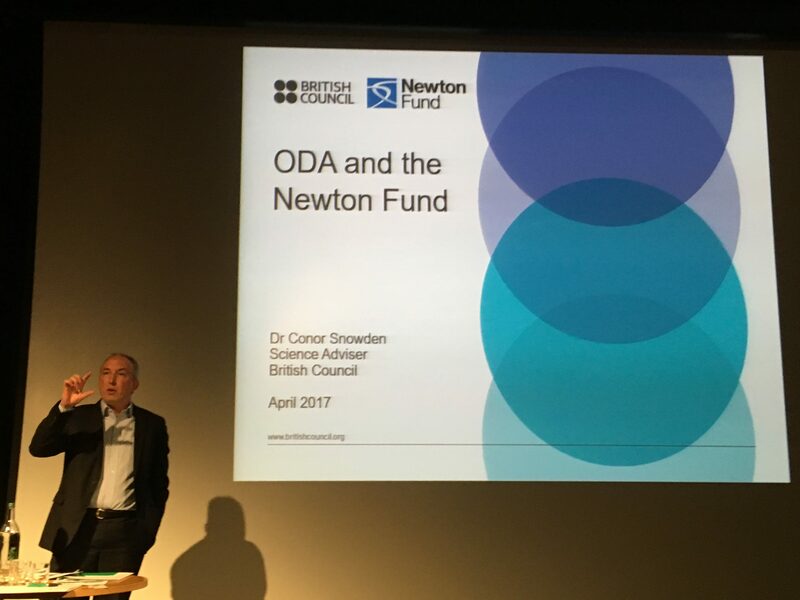 Dr Snowden focused on the increasing role of Official Development Assistance (ODA) funding for UK researchers. His presentation outlined what makes research and capacity building eligible for ODA funding and how this is interpreted by the British Council. Dr Snowden then outlined current funding available through the British Council under the Newton Fund and introduced the Global Challenges Research Fund being lead by the UK Research Councils. The University of Stirling is home to Scotland’s first longitudinal study of ageing: Healthy Ageing in Scotland (HAGIS). HAGIS provides data infrastructure for the economic, health and social circumstances of people aged 50 years and over. It will provide open access to anonymised data for researchers from many disciplines and therefore supports multi-disciplinary collaboration. HAGIS also joins the Gateway to Global Aging Data, a platform for population survey data around the world. This resource of harmonised survey datasets use highly cited, validated measures to maximise the capacity to produce high quality, comparative research on an international scale. Ageing survey data are already freely available for England, Ireland (ROI and NI), USA, Mexico, India, Japan and more – and with over 5,500 publications to date, this is a data resource with proven potential! Ageing research is of particular importance in Scotland as we’re ageing faster than the other UK nations. HAGIS provides the data infrastructure for the economic, health and social circumstance of people over the age of 50. Presenters Elaine Douglas and David Bell showcased HAGIS data and demonstrated the ease with which global ageing survey data can be utilised by researchers – Researchers left the event with an international data set at their fingertips! Rounding off our second day Dr Anna Campbell MBE talked about the need to stay active after a cancer diagnosis. The number of cancer survivors is steadily increasing and by 2030 there will be over 4 million people living with cancer. Dr Campbell’s talk explained why staying active after a cancer diagnosis can help reduce or prevent side effects such as tiredness and can improve the quality of life of those living with and beyond cancer. Dr Anna Campbell MBE has researched the physical and psychological benefits of staying active after a cancer diagnosis for over 17 years. She has put her research into practice, making two exercise DVDs for cancer survivors and setting up the first free community-based exercise programme in the UK. Anna described her research journey and the many projects she has been involved in over the years and finished with short video of the Macmillan Move More campaign she has been instrumental in developing.